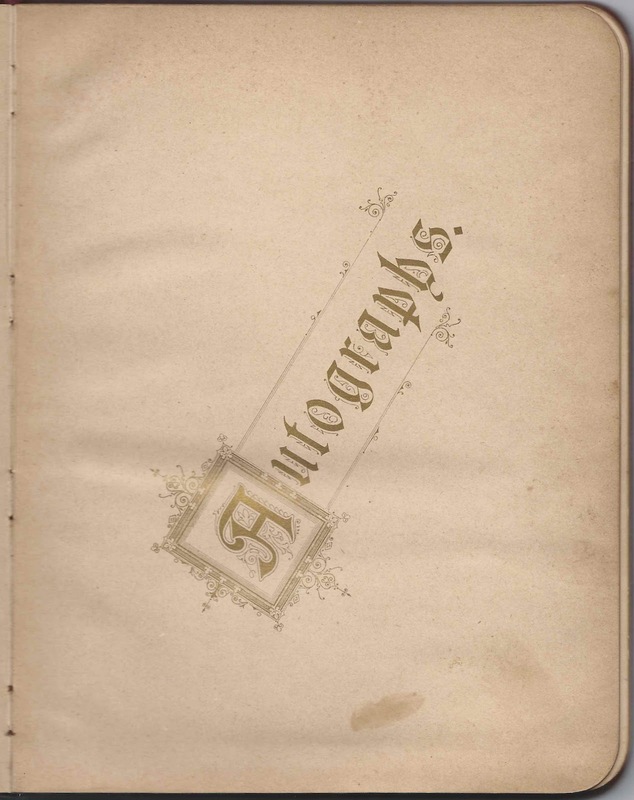 1880s autograph album of Nina F. Blanchard of Worcester, Massachusetts. Her birth record gives her name as Ninnie Blanchard. 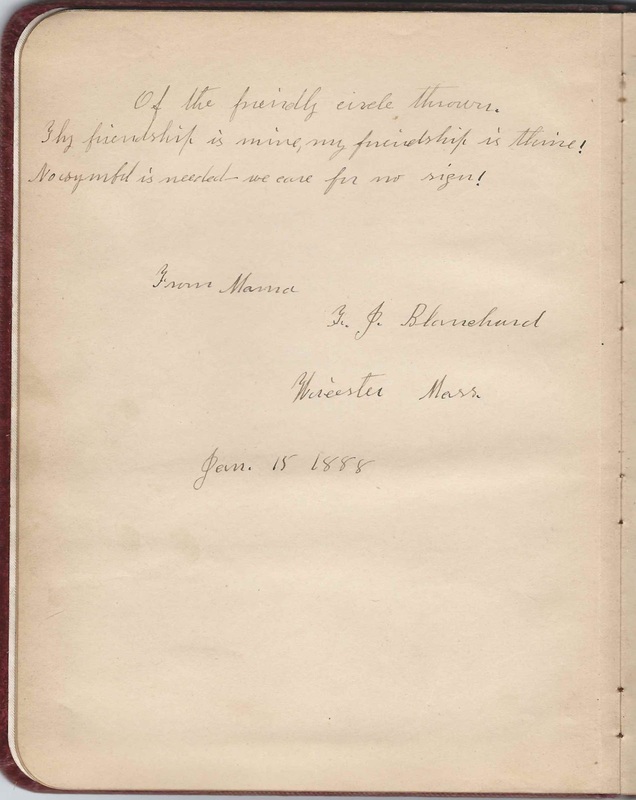 The album is approximately 8-1/2" x 6-1/2" and contains the sentiments of 28 of Nina's relatives, friends and schoolmates from the Class of 1889 at Worcester High School. An alphabetical list of the signers appears at the end of this post; if signers indicated their high school and class, that information is included in the list. Nina F. Blanchard, or Ninnie as her birth record shows, was born 24 April 1869 at Worcester, Massachusetts, the daughter of Emerson and Frances Jane (Scott) Blanchard, who were born at Pittston, Maine, and Williamstown, Massachusetts, respectively. Emerson's grandfather Nicholas Blanchard moved his family from Pittston to Kingfield, Maine, about 1812, but apparently there were still ties to Pittston, as some of Nicholas' children moved back and forth. Emerson's father, Nicholas' son Nicholas, was one of these, with some of his children with wife Anna (Tufts) Blanchard born at Pittston and some at Kingfield. 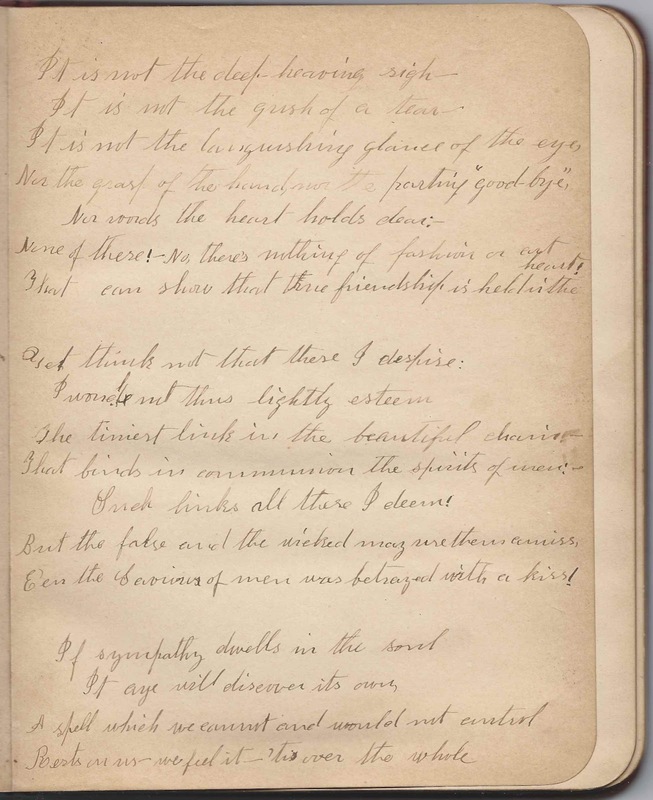 This according to a comments I found online from someone who had seen a family Bible that contained the marriage date and place of Emerson's parents Nicholas and Anna (Tufts) Blanchard as 24 November 1834 at Kingfield, Maine, and the dates and places of birth of their children. Nina's mother, Frances Jane (Scott) Blanchard, was born at Williamstown, Massachusetts, the daughter of Thomas and Amy Jane (Gardner) Scott. Frances signed a page and its overleaf in Nina's album. 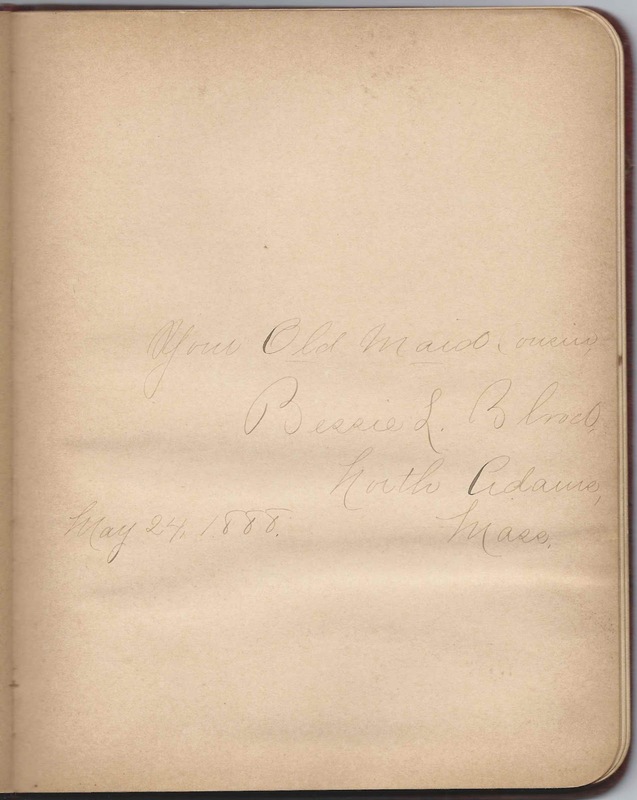 Nina's cousin, Fred S. Blanchard, son of Emerson Blanchard's brother Alphonso Blanchard, signed a page on May 4, 1897, the only page dated after the 1880s. I don't know if Nina was visiting Kingfield, or Fred was visiting Worcester. Bessie L. Blood of North Adams, Massachusetts, signed a page on May 24, 1888 and called herself "Your Old Maid Cousin." Presumably she was a cousin from Nina's mother's side of the family. 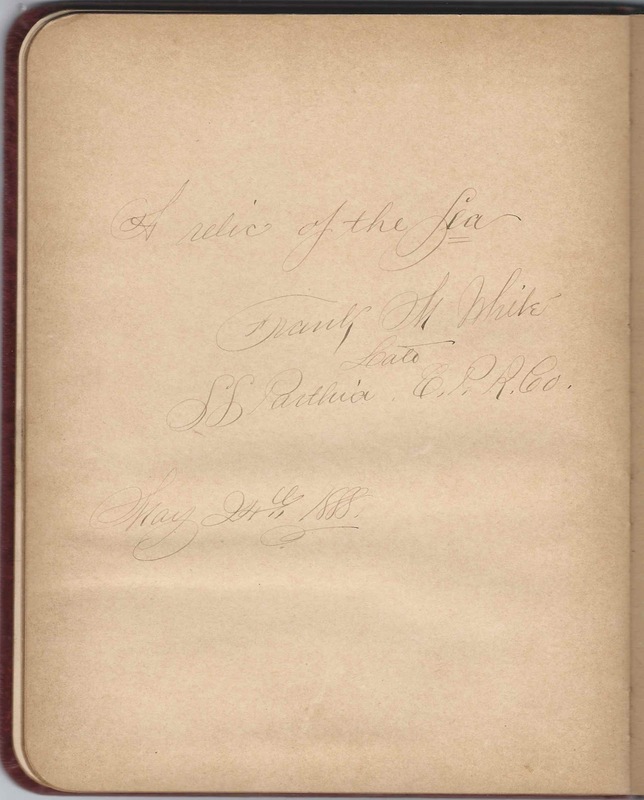 Frank M. White signed an interesting page on May 24, 1888. He indicated that he had come lately from the S.S. Parthia of the Canadian National Railway. He wrote "A Relic of the Sea". Was he referring to himself or the S.S. Parthia? 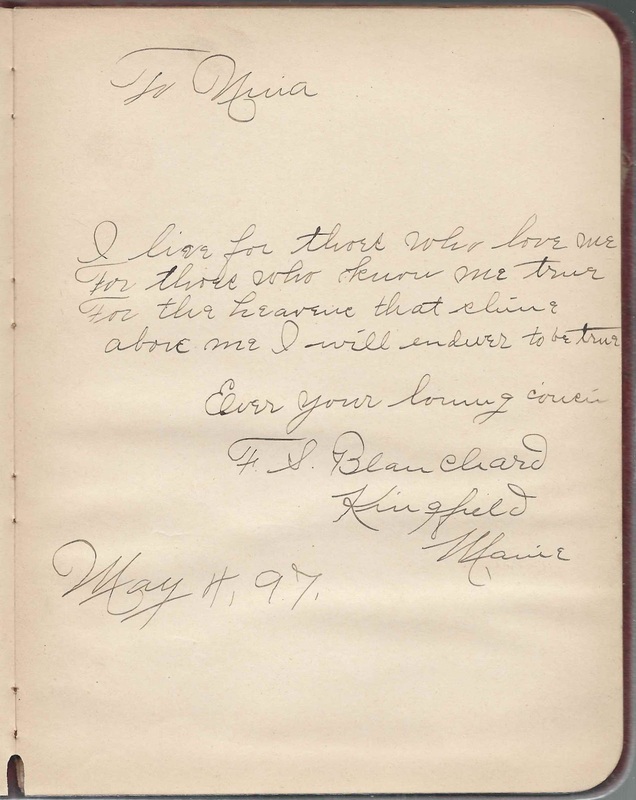 F. S. Blanchard of Kingfield, Maine, signed May 4, 1897. He was Fred S. Blanchard, son of Alphonso and Ellen B. (Wilbur) Blanchard. Alphonso and Nina's father Emerson Blanchard were brothers, sons of Nicholas and Anna (Tufts) Blanchard of Kingfield, Maine . Bessie L. Blood of North Adams, Massachusetts, signed on May 24, 1888: "Your Old Maid Cousin"
Minnie C. Holland of Hallowell, Maine, signed at Worcester, Massachusetts, on April 13, 1889; Minnie implied that she was moving to Michigan. Julia F. Warren. 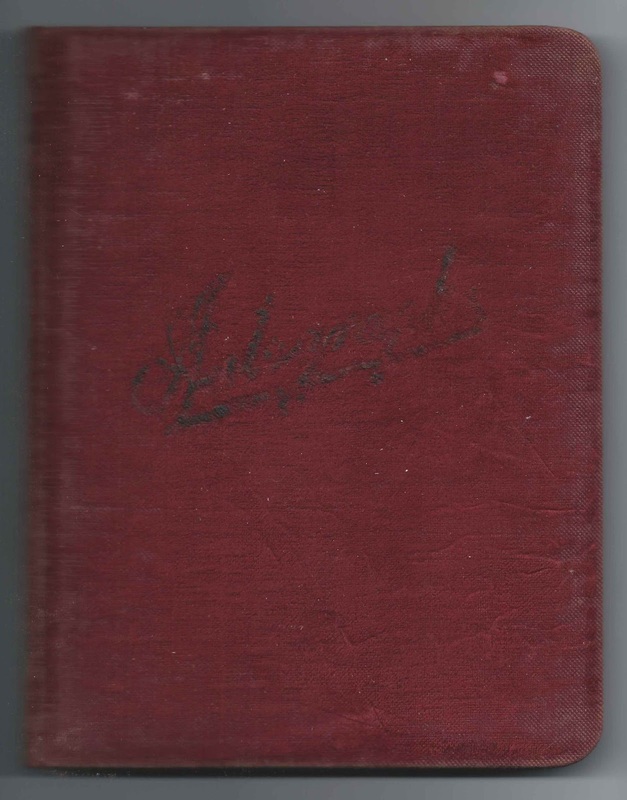 She was Julia Florella (Cutler) Warren, whose husband Arthur G. Warren signed the next page. Arthur G. Warren of Worcester, Massachusetts, signed on February 20, 1888; his wife Julia Florella (Cutler) Warren signed the previous page. Frank M. White, late of S. S. Parthia, C.P.R. Co., [Canadian Pacific Railway Co.], signed on May 24, 1888. "A relic of the Sea"